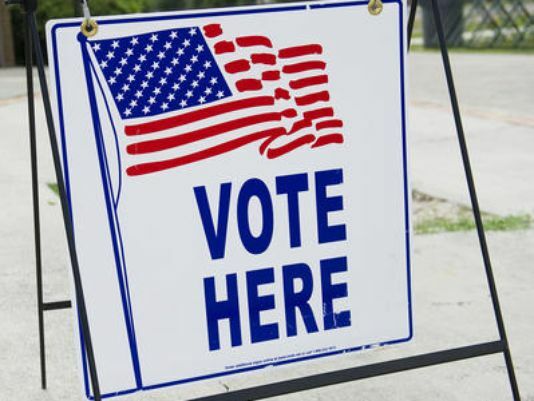 Over the past week there has been a lot of talk in the media about the ballot shortages experienced by Ferndale and other Oakland County communities. As the Ferndale’s Election Administrator, I think it important to address these issues, but also to take the lessons we’ve learned from this experience and move forward. My commitment as the City Clerk is to protect the rights of our voters; they will always be my number one priority. Every vote counts and so does every voter. As much as I’m disappointed that not everyone had a smooth voting experience, I’m very excited that Ferndale turned out in such large numbers. Let’s keep that momentum going in November! 1. What was Ferndale’s voter turnout? 2. What is the average turnout for an August Primary? 3. How do we determine how many ballots to order? a. Oakland County determines the amount based on past election turnout and allocates a maximum number for each precinct in the county that the city clerk can order from them. Our City Clerk ordered the maximum approved number of ballots and received a supplemental ballot order from Oakland County the week before the election. 4. What happens if ballot shortages occur on Election Day? a. The established protocol is that City Clerk calls Oakland County when inspectors open their last pack of ballots and the county prints and delivers additional ballots. 5. So, what happened this time? a. The City Clerk implemented her emergency precinct management plan when the County told her they had no more ballot stock to print additional ballots on. This included photocopying ballots at City Hall and directing voters to place their voted ballots in the secured tabulator auxiliary bin, much like the process used in a power outage. 6. What steps were taken to keep people voting? a. Voters were given instruction to vote one at a time on the Verity Touch Writer accessible ballot marking device until more ballots could be printed and delivered to the precincts. Ballots that were unable to feed through the tabulator were deposited in the auxiliary bin. 7. What happens to those auxiliary bin ballots now? a. They were secured together at the precincts and sealed into the ballot cans with the rest of the ballots used on Election Day. They are stored in a locked room at City Hall until the County Board of Canvassers calls for the City Clerk to deliver them to Oakland County. 8. Will they all be counted? a. Absolutely! Every single ballot will be hand counted and added to the unofficial totals to determine Ferndale’s final results. 9. What steps are being taken to assure this situation never happens again? a. The City Clerk looks forward to working with Oakland County on a solution and to find out what input the City can have in determining the number of ballots needed for future elections where higher than average turnout is projected. 10. How did this happen in the first place? a. Ferndale’s voters turned out in record numbers to fulfill their civic duty and exercise their right to vote. The unprecedented turnout took both the City and County by surprise. No one expected that Ferndale would double its turnout over the past ten-year averages and when it became apparent that turnout was so much higher the City Clerk turned to her emergency precinct management procedures for people to continue voting until every voter was able to cast their ballot.